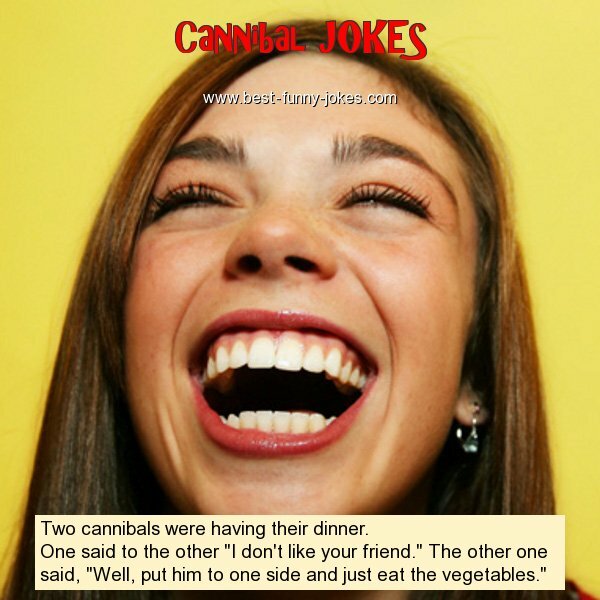 Two cannibals were having their dinner. One said to the other "I don't like your friend." The other one said, "Well, put him to one side and just eat the vegetables."